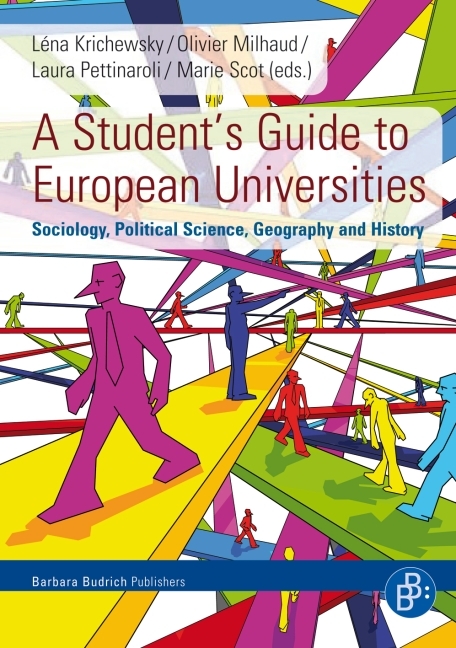 The guidebook to Social Sciences in Europe offers students and researchers going abroad an insight into the origins, the methods and the current trends in four Social Science disciplines in six European countries (Spain, France, Germany, Italy, the Czech Republic and Great Britain), as well as an overview of the university system and student life in those countries. For each country, insights into the national traditions and characteristics of Sociology, History, Geography and Political Science are combined with practical information on teaching and assessment methods. Der Studienführer versteht sich gleichzeitig als theoretisches wie praktisches Werkzeug. Er informiert in Englisch über die vier Studienrichtungen Geografie, Geschichte, Soziologie und Politikwissenschaft/Politologie an den Universitäten in Deutschland, Frankreich, Grossbritannien, Italien,Spanien und Tschechien.